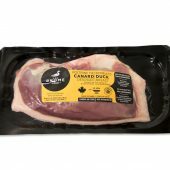 Remove the duck breasts from the oven and place on a tray or plate. Let stand for 5 minutes, loosely covered with sheet of aluminium foil. 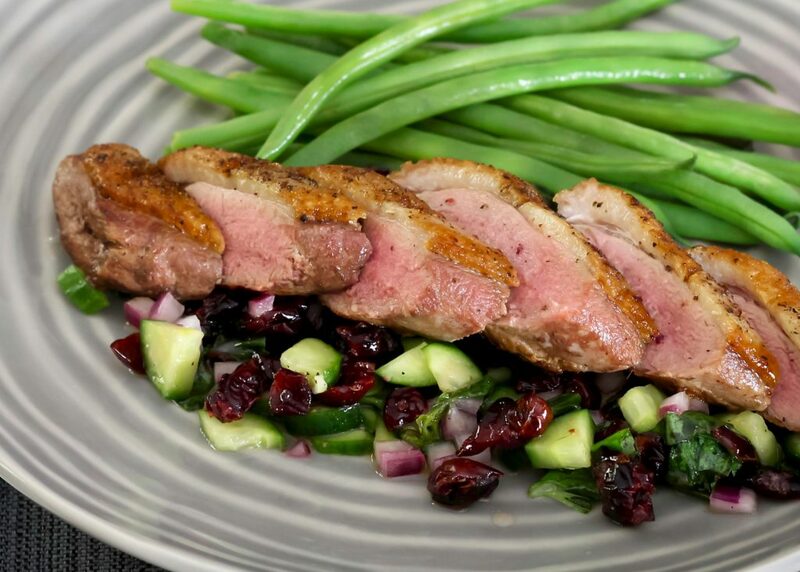 Cut on the diagonal and serve on a bed of cranberry cucumber salsa along with potatoes sautéed in duck fat and steamed green beans. Add the ingredients to a serving bowl and drizzle with some olive oil. Season with salt and pepper to taste and mix. Serve immediately with thin slices of toasted baguette or with poultry. The salsa can also be covered and kept in the refrigerator until ready to serve.